Since the first edition of this book was published, significant developments have modified the general view of the efficient market hypothesis. This fully revised second edition provides a major contribution to the study of these developments. ∗ The mean–variance approach to portfolio management. ∗ The capital asset pricing model. ∗ The efficient market hypothesis and option pricing theories. 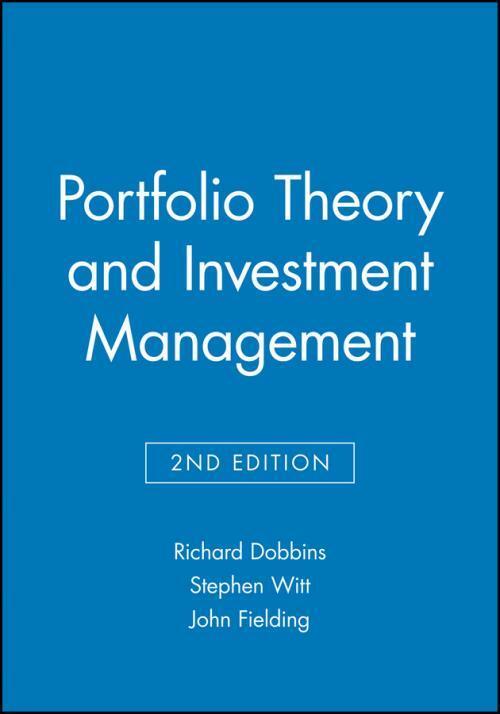 Combining theory and practice, this is an ideal introductory text for undergraduate and postgraduate students, as well as a useful reference for investment managers. 1. The Revolution in Portfolio Theory: a Summary. 2. The Mean–variance Approach to Portfolio Management. 3. The Capital–asset Pricing Model. 4. The Efficient Market Hypothesis: The Early Evidence. 5. Implications of the Efficient Market Hypothesis. 6. The Efficient Market Hypothesis Revisited: Some Recent Developments.